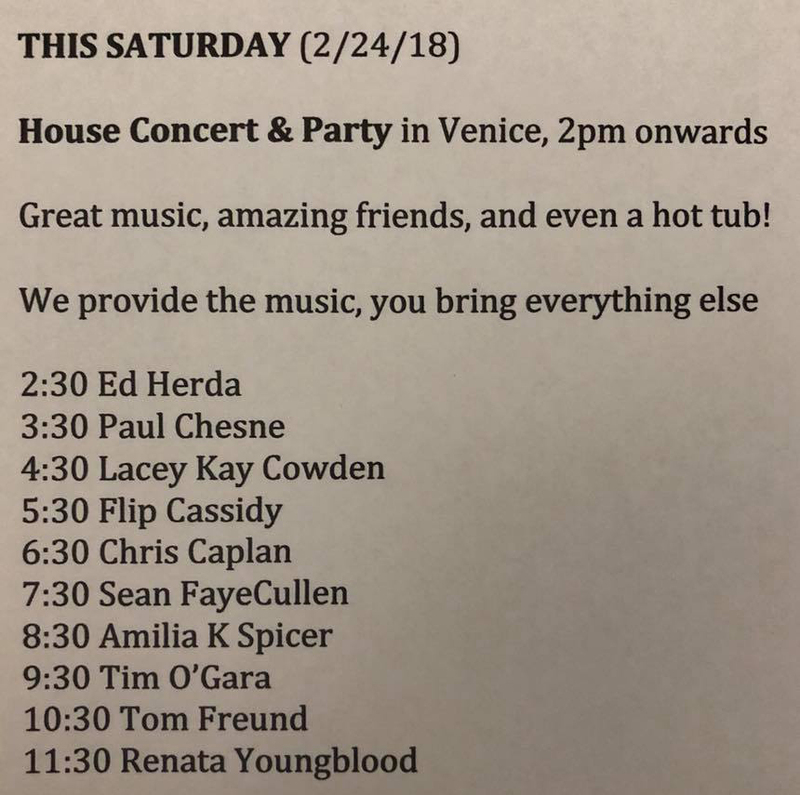 House Concert in Venice this Sat with lotsa great musicians & Europe! 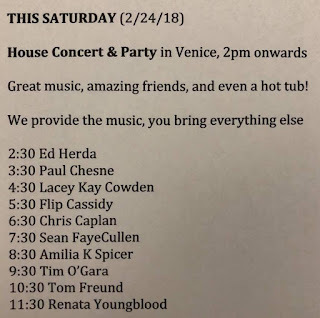 I go on at ~3:30 before the Sun goes down. Message me for address because the cops are on my Twitter! Also, I'm headed to Europe from 3/9-18. Show details to follow!